home > Make it, Take it, Give it! Party-worthy gifts that keep on giving! Make it, Take it, Give it! Party-worthy gifts that keep on giving! Is your calendar filling up with fun holiday get-togethers? That’s one of my favorite parts of the holiday season. It reminds me of helping my mom prep for parties when I was younger. As soon as I could hold a wooden spoon, I was helping mix up Christmas magic in the kitchen. I still remember that moment when I realized…hey, there’s a lot of work that goes into all that fun! That’s a big part of what inspired me to create temp-tations, so everyone could spend less time working and more time enjoying their family and friends — during the holidays and every day! But it’s also why I always keep one of my mom’s most important lessons close to my heart. My mother always taught me never to go to a party empty handed…always bring something for the hostess, or something that can be enjoyed by all. If you live by the Make it, Take it, Give it! 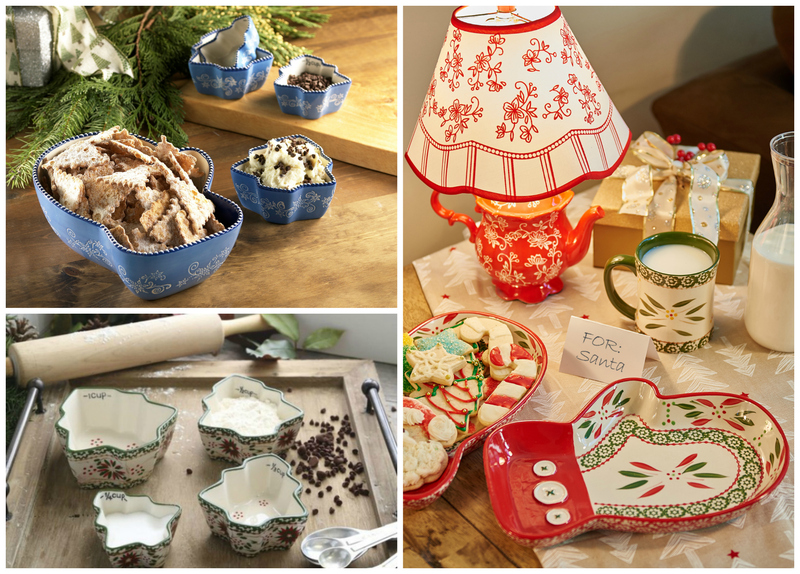 Rule too, here are some easy ideas guaranteed to be a hit at any holiday party! When you bring a little something in a temp-tations baker (and leave it for the hostess), everyone wins! 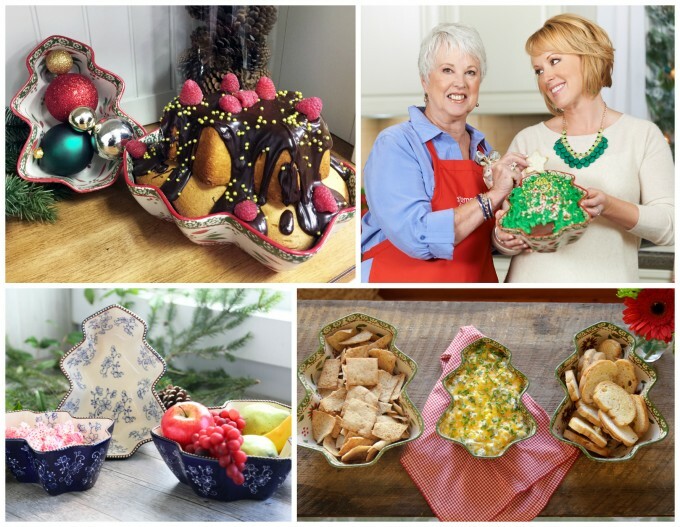 My Christmas Tree Stacking Bowls in Old World and Floral Lace are perfect for parties! I like filling one of the bakers with yummy Broccoli Cheddar Spread…you can prep it at home and bake it when you get to the party. Then serve it up, warm and bubbly, with a selection of crackers and crusty bread. For a real showstopper, you can also use these versatile oven-safe bowls to bake up a fabulous cake. Frost it up in the bowl itself, or bake in multiple bowls to create an elegant tiered tree-shaped cake, topped with Rich Chocolate Ganache, fresh fruit and festive holiday accents. Best of all, because this set comes in both seasonal as well as classic Old World and Floral Lace colors and patterns, you can choose a festive holiday look, or a classic colors that will match back to existing collections. My Mitten Bowls in Old World and Floral Lace are great for serving up festive sweet or savory treats at any gathering, especially when paired with my Old World or Floral Lace Christmas Tree Measuring Cups to hold dips or garnishes. The Measuring Cups also make a great gift if you’re attending a Holiday Baking Party. An unexpected treat for the hostess, that will come in handy throughout party and throughout the year!